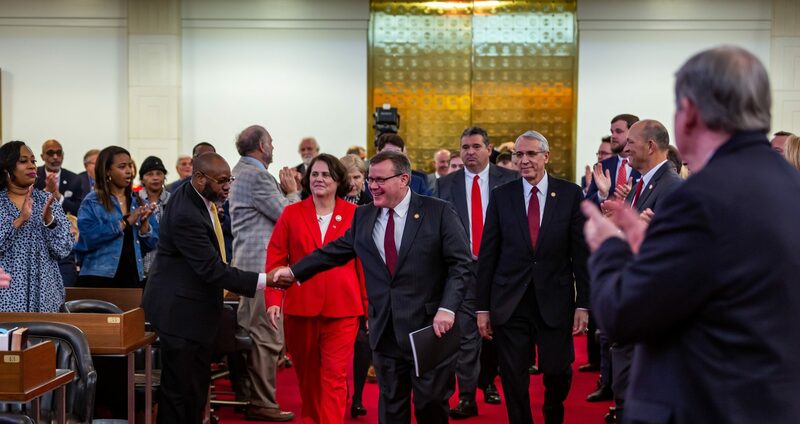 Raleigh, N.C. – The North Carolina General Assembly’s 2017-2018 budget provides a fourth consecutive teacher pay raise, directs $700 million more to public education funding over two years, offers financial incentives for highly-qualified and veteran teachers, and supports additional STEM projects, special needs programs and low-performing schools. The state budget provides more than $35 million to substantially increase principal and assistant principal pay, including funds for performance bonuses for principals, and includes $10 million in additional compensation for community college employees. The budget includes roughly $25 million to expand a performance-based bonus program to top-performing 4th and 5th grade reading teachers and 4th-8th grade math teachers, and allocates $10 million over two years for a bonus program for veteran teachers with more than 25 years of experience. “The Republican-led House of Representatives is keeping our long-term commitment to improving schools and student achievement with a combination of increased investment in educators and innovation for classrooms,” said House Speaker Tim Moore. 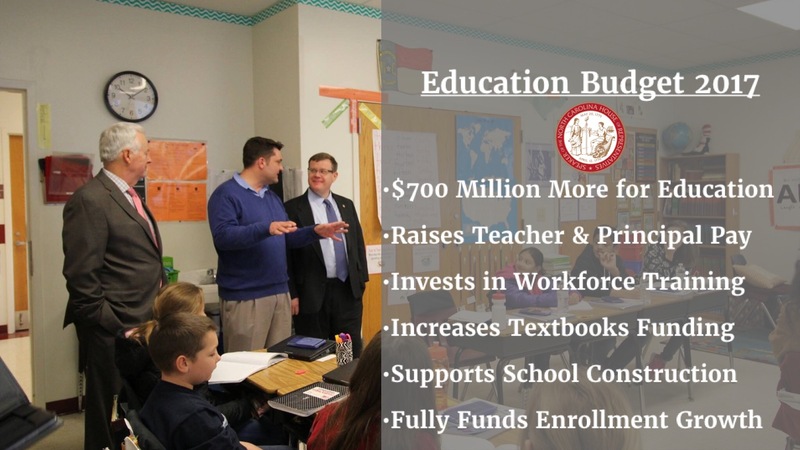 While increasing funding for public education by nearly $700 million over two years, the state budget fully funds K-12, community college and public university enrollment growth, while allocating more than $100 million for grants to economically struggling, rural counties to assist with critical public school building needs. 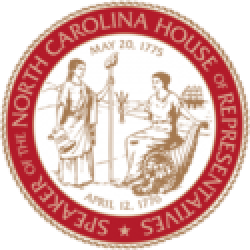 North Carolina’s 2017 budget invests an additional $11 million in textbooks and digital resources, increases funding for children with disabilities, and supports the new N.C. Teaching Fellows Program through the N.C. Education Endowment Fund. It restores funding to Eastern North Carolina STEM and extends the “TA to Teacher” pilot program in the 14 local school districts originally designated for expansion and provides additional assistance to community colleges for workforce training programs. Further, the state budget protects the Read to Achieve, Teach for America, and Communities in Schools programs from being cut by the Department of Public Instruction, and honors the commitment to fully fund the N.C. Promise Program, which guarantees in-state undergraduate students at three schools across the state pay just $500 per semester for tuition.